Welcome to this weeks episode of Loan Officer MarketingTV! No video today because I have a cold and wanted to spare you the sneezing and weezing on camera so today’s episode is good ol’ fashioned print baby. Today we’re talking about how to use Facebook when promoting your Agent Seminars. As we mentioned on our last episode, I recommend having your own event registration page outside of Facebook. Use a free site like www.eventbrite.com It integrates directly into Facebook and provides superior tracking and promotion related tools – free! As you may know, the more Facebook Likes, Twitter retweets, LinkedIn shares etc. on your blog posts and web pages the more visitors will perceive your content or seminar as being popular and will also want to share. The best place to position your social share buttons is at the top “above the fold” (visible without scrolling). The image on your Facebook Page is prime real estate. Consider using your page image/banner with a link to get on a list to be notified of free seminars etc. You could also add images about the event to your Page to go across the top of your page with calls to action. 2) On your Page. (Formerly Fan Page). I strongly suggest you create a Facebook Event via your Page for any business-related events and keep the personal/social events for your Profile. Just click the Events link on the left of your Page, then click the “Create an Event” button. One thing to note about Facebook Events, you’ll want to make it really clear there is a link that Facebook users need to click in order to register. Some people might think that by clicking the “I’m Attending” button they have signed up for your event; they haven’t. Write periodic updates and messages on the Event wall to encourage everyone to go get their ticket or register via your external registration page or website if they haven’t already. Also, the Event photo/graphic is one of the most important features – when users share the Event around Facebook, the thumbnail of the image goes with it. Offer live micro events on your Page. One great way to build buzz for your events is to host “Expert Fridays” where a subject matter expert spends one hour answering questions directly on the fan Page wall. This helps to introduce yourself or any guest speakers, provides tremendous value, and helps to build your social equity. Encourage attendees to engage and share. Once participants have signed up for your event, encourage them to write on your Facebook Event wall and engage through other social channels. 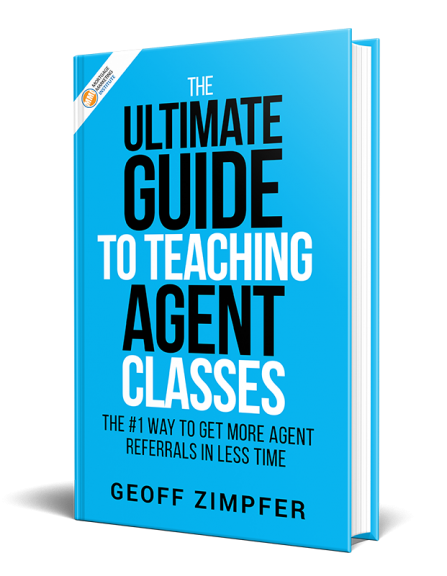 WARNING: Do on rely solely on Facebook or other Social Media to fill your agent seminars. Hosting a seminar for your local agents is a great opportunity to get in the field at your local meetings, open houses and team up with sponsors and affiliates. Want More? 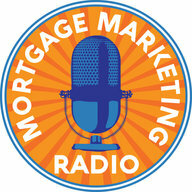 Download your Free eBook and audio at the top of this page: Speed Marketing for Loan Officers. See you on our next episode! Please share your comments or like us below.